Recently I’ve had more time for some recreation. 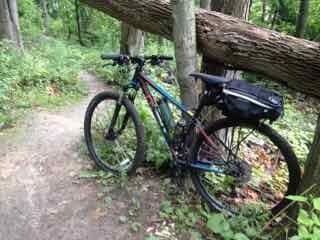 I love mountain biking, and biking up to a quiet place to be alone and enjoy God’s nature. This is recreation–something that God made for us. Some Christians might guilty about having too much fun but when we look at “recreation” from a biblical point-of-view, it simply means “rest”. Yes, recreation means renewal or rest. We also need to take time for our bodies, soul, and spirit to just rest and play, as opposed to, only work. God gave us the Sabbath for rest (Genesis 2:2.) Rest is also connected to our spiritual renewal (Hebrews 4:1-11). God knows that human beings need rest–so no more need to feel guilty about recreation but let’s remember that God also wants to be a part of our recreation. We can follow God’s gift of rest by enjoying our lives in what God has given to us. Next Next post: Is war a path to peace?